My associate, Rev. 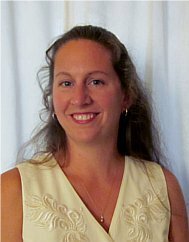 Amanda Humphrey, is an Ordained Minister of the Universal Life Church and has been a good friend for 15 years. We met while she was working her way through college to become a teacher. 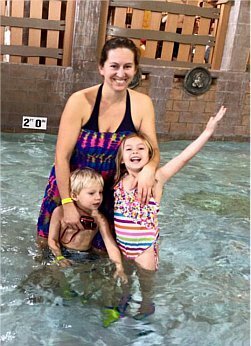 She achieved her goal and taught pre-school for 3 years before starting a family. She is raising two darling children and has performed wedding ceremonies for me since 2014. She is very intelligent, good natured and great with people. 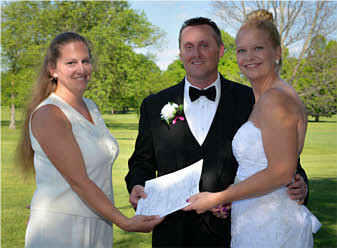 The couples she has Officiated for have all commented on her warmth and friendliness. "Rev. Amanda did an amazing job at Lee(our son) and Ashley's wedding. 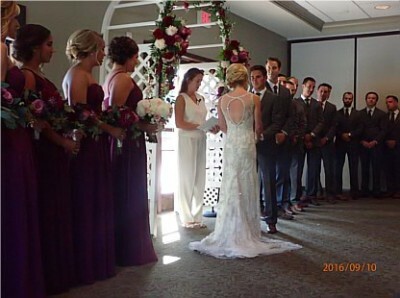 She is a professional that helped them create the perfect day, and their beautiful vows to each other. Rev. 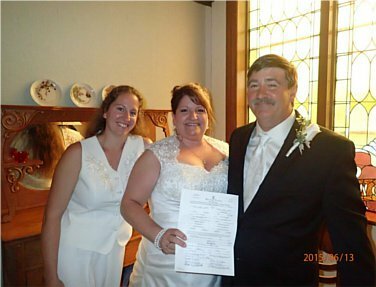 Amanda kept the ceremony on target with timing and has a wonderful calm personality that kept the bride and groom at ease. Her delivery and presentation were outstanding. Your Day Your Way-Celebrations took care of every detail from beginning to end taking away a lot of stress or worry. I highly recommend them and Rev. Amanda." ​"Amanda was amazing :) She was so nice and helpful, everything flowed easily. We would recommend her to anyone looking for someone to marry them. She was wonderful." The ceremony and the chapel itself were beautiful. We loved Amanda, she did a great job and was very professional. "Rev. 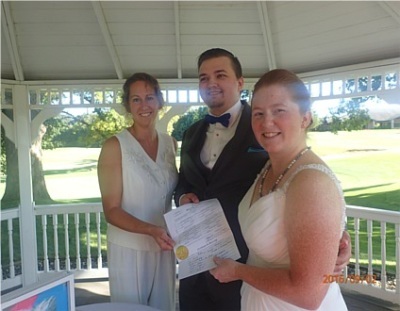 Amanda did an awesome job and made our day even more special!"